Living on campus puts you within walking distance of your classes, labs, the libraries, theaters, art galleries, and sports facilities. You will save hours weekly by living on campus - time used to your academic and social advantage. Dining Services are located within your residence hall, or within walking distance. Click here to learn more about our dining services, our maintenance and facilities staff, and more! Dedicated WVU custodial and maintenance staff keep our halls clean, and quickly provide any needed maintenance at all times of the day and night. Residents can use the convenient online work order system when something needs to be fixed or attended to. Residence Halls are close to classroom buildings, libraries, tutoring spaces and the Mountainlair. A few of our residence halls have classrooms where different classes meet throughout the year. 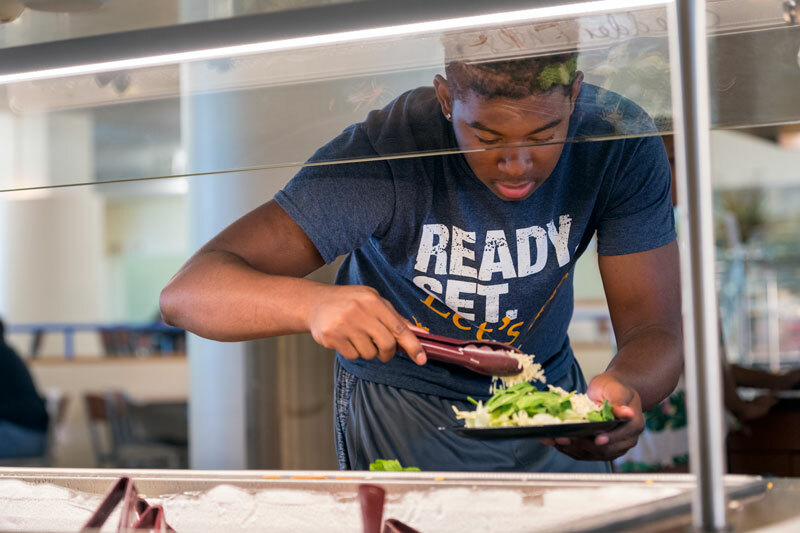 Whether you want to grab a cup of coffee to go or want a full restaurant style meal, there are dining options in many halls and nearby that are part of your meal plan.